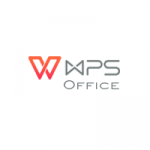 Though the WPS Office aka Kingsoft Office comes with great features. Eventually, it adds the option Upload to WPS Office Cloud to the context menu of Windows Explorer. This Guide will show how to remove that. Deleting similar emails in Gmail is a tedious task; if you unaware of smart methods. In this article, we will learn to delete similar emails in Gmail smartly. In MySQL, View performs the notable role by storing complicated SQL query into a virtual table. Updating or editing the view in phpMyAdmin is very easy task.